Because it's been at least six days since Samsung announced its last Android smartphone, here's the Galaxy Pocket -- an entry-level device in an extremely compact form factor, sporting a tiny 2.8-inch display. The Pocket runs on an 800MHz processor, just like the Galaxy Mini 2, though due to its diminutive size, screen resolution is limited to a stomach-churning 320x240 (QVGA). It's also got a 2MP rear camera, 3GB internal storage (expandable via microSD card), and a 1200mAh battery. The presence of HSPA support on 900MHz and 2100MHz only suggests the Galaxy Pocket won't be venturing too far outside of Europe. On the software side, you get the standard blend of Android 2.3 Gingerbread and Samsung's TouchWiz UX layer. You probably won't want to hold your breath for an Ice Cream Sandwich update any time soon. So it's very much an entry-level handset, and we'd expect that to be reflected in the price when this device launches later this year. Samsung has so far only confirmed that the Galaxy Pocket will be available in the UK, but we wouldn't be too surprised to see a wider European launch either. Head past the break for today's press release in full. 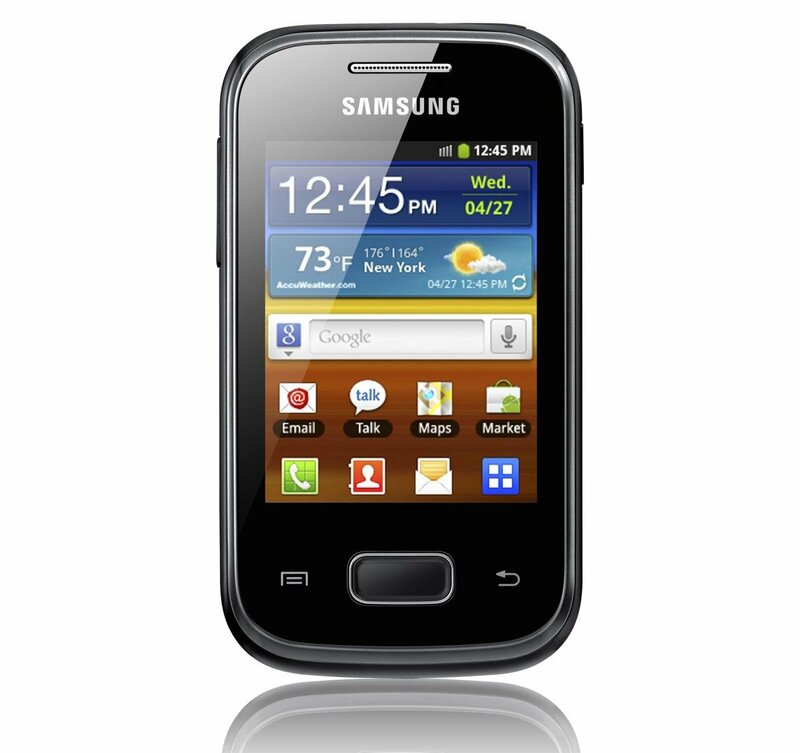 6th March 2012, London, UK – Samsung Electronics today announces the latest addition to its Android powered Galaxy portfolio, the Galaxy Pocket. Featuring AndroidTM 2.3, this new smartphone offers those on the lookout for a new handset, a stylish portable option. The Galaxy Pocket’s slim design makes it ideal for use whilst on the move and features a 2.8” display so that content and images can be viewed easily. The device features an upgraded TouchWiz user interface making menu navigation a smooth and efficient experience. The Galaxy Pocket offers 3GB of user memory, which can be expanded by a SD memory card up to an additional 32GB, for applications, MP3 files and photos, as well as an in-built FM radio which can be tuned into a favourite station. Integrated high-speed Wi-Fi and HSDPA 3.6 connectivity mean multimedia content can be downloaded fast and keep owners entertained whilst they’re out and about. The Galaxy Pocket will be available in the UK later this year.